One of the "100 Greatest Stand-Ups of All Time!" But how did Breuer land a spot on this presitigous list? 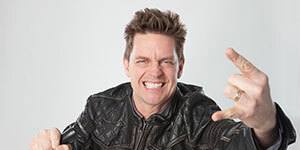 Starting out in the New York City comedy circuit, Breuer landed a gig on the nationally syndicated show Uptown Comedy Club, spending two seasons there until joining Saturday Night Live in 1995. Jim created the famous character “Goat Boy” even though he had a traumatic experience with a goat as a child. Jim and his friends would go to local petting zoos and attempt to teach old goats how to make noises again. This served as practice when they would go to the local bar after and make goat and donkey noises to try and get free drinks. It rarely worked but gave Jim the perfect idea for a stand out SNLcharacter. He was a regular cast member until his departure in 1998 when he teamed up with Dave Chappelle to star in the cult-classic “stoner comedy” Half Baked. In the new millennium, Breuer released multiple very successful Comedy Central stand-up specials with 2009’s “Let’s Clear the Air” being one of the highest rated comedy specials in Comedy Central history. In his comedy which is very family friendly, Jim talks about many different aspects of everyday life like marriage, having kids and being a parent, and his love for rock and metal music. Even though Jim is famously known for his acting roles and stand-up comedy, he is also an avid baseball and New York Mets fan. Jim founded his website, “Bats, Balls and Breu” after his love for America’s pastime and encourages other baseball fanatics to publish videos to the site to give them a voice and a platform for their voices to be heard. Fans are encouraged to post anything from opinions, to predictions, to even just plain old enthusiasm for the game. Some videos posted by fans are selected by Jim to be featured on the site or even used on his podcast. During the 2015 World Series, Jim became a social media phenomenon with his daily Facebook videos and live game reactions. This tradition has continued and Jim posts videos to his Facebook almost daily on a range of topics but always finds a minute or two to talk about the Mets game. Unlike a lot of other celebrities, Jim encourages fan interaction in these videos and tries to answer as many questions as possible. Even though he is a huge New York Mets fan, Jim is a baseball fan first and foremost and encourages fans of all 30 teams to talk about the game they all love. 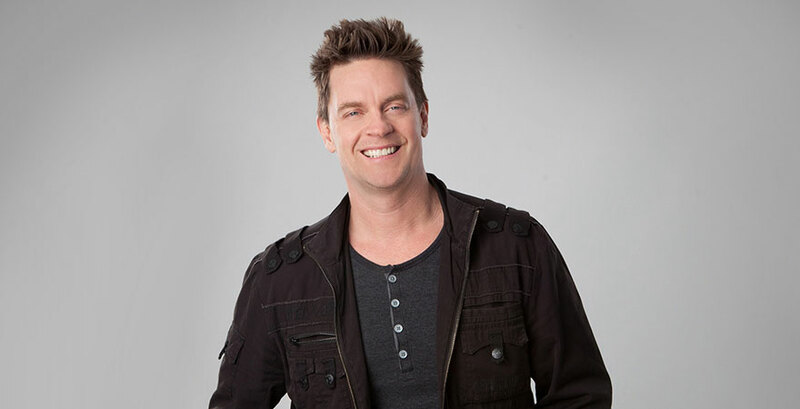 So even if you think you know Jim Breuer from his baseball antics you shouldn't miss out on the chance to see a night of gut-wrenching comedy from the “Goat Boy” himself when he returns to New Brunswick on September 23, 2017 at State Theatre New Jersey! 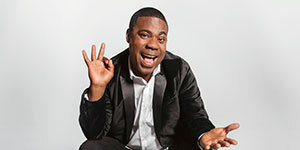 Tracy Morgan is "Staying Alive"